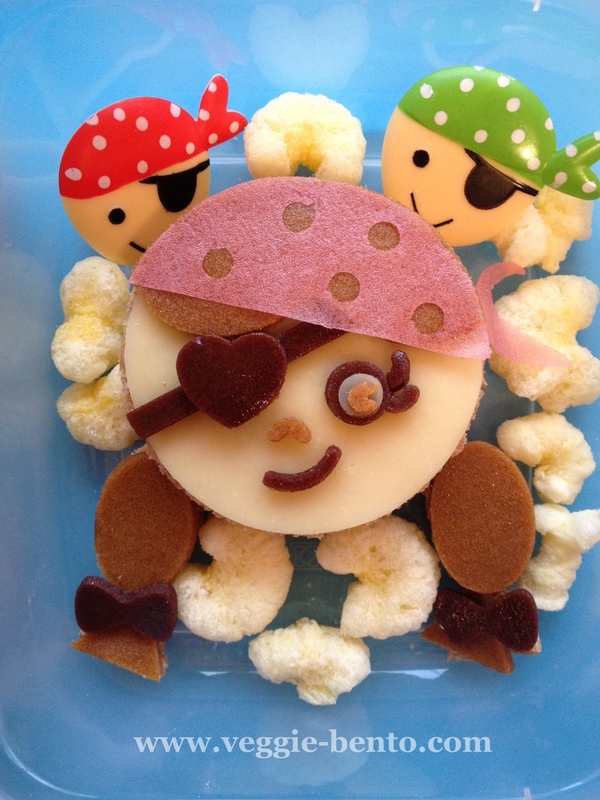 Avast Me Maties, This Pirate’s A Beauty! 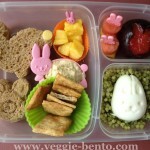 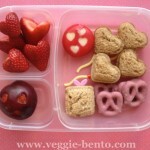 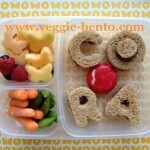 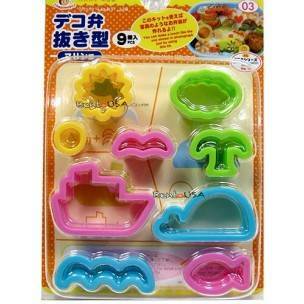 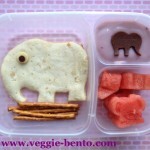 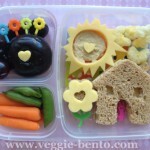 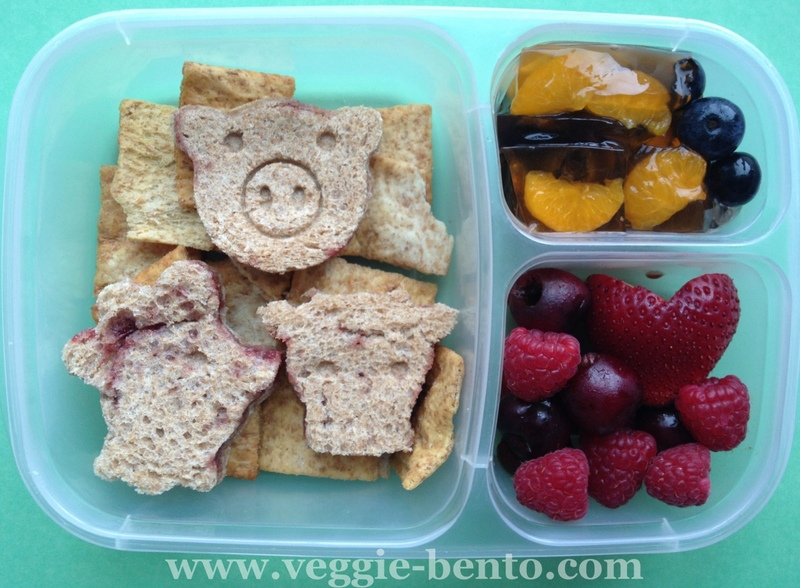 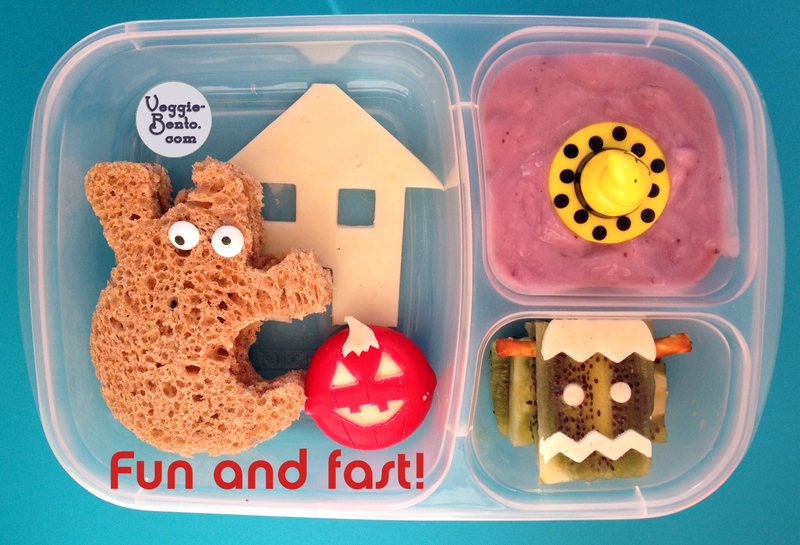 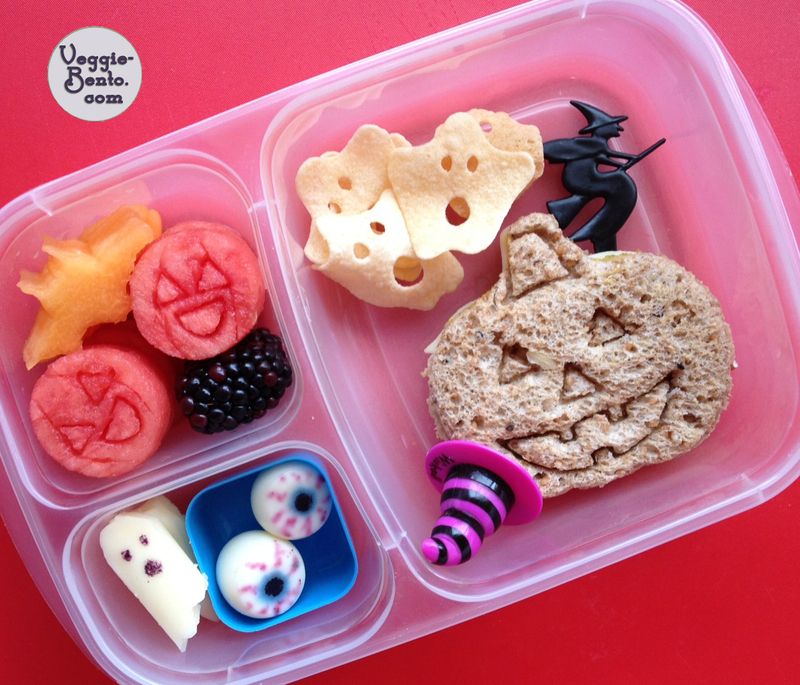 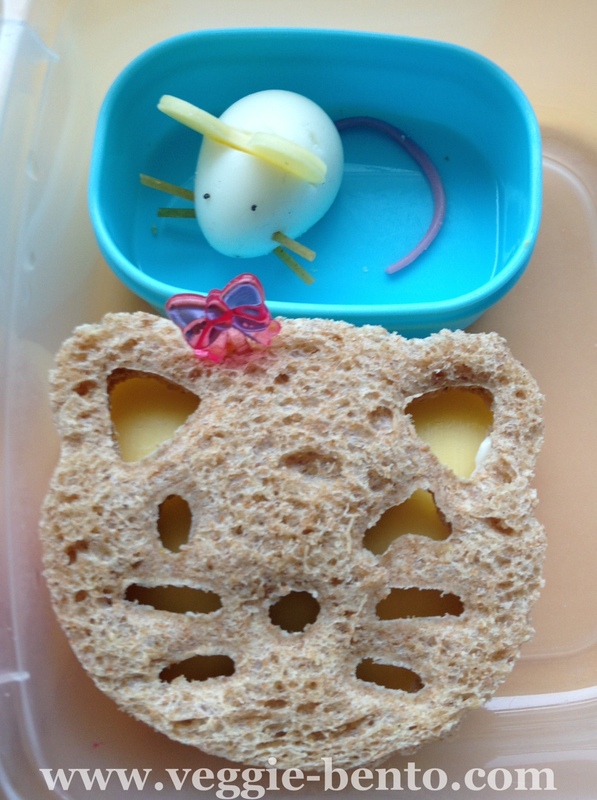 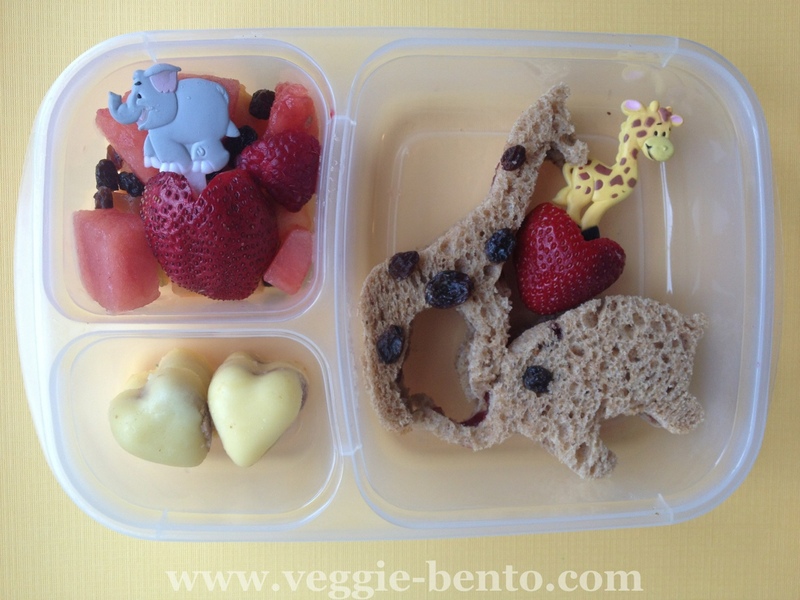 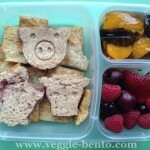 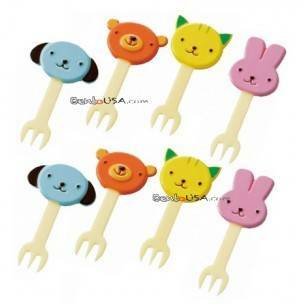 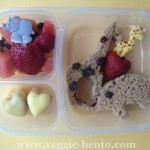 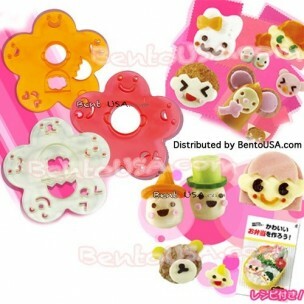 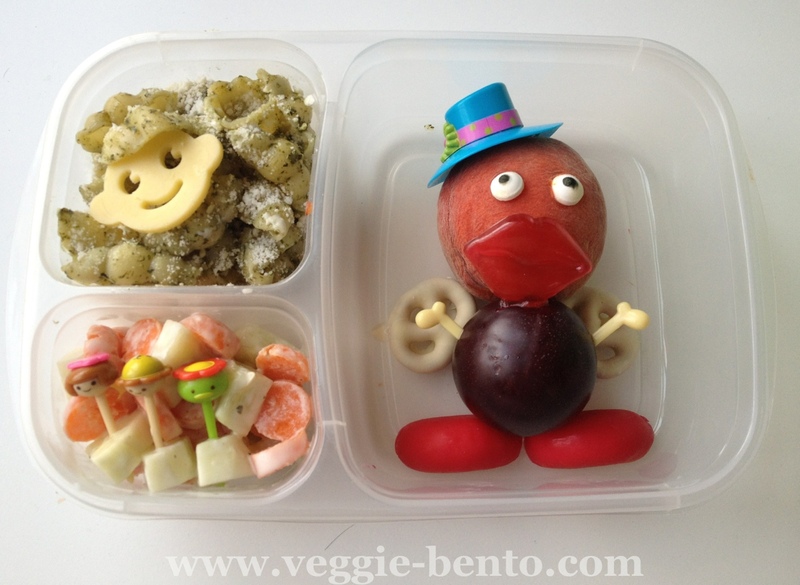 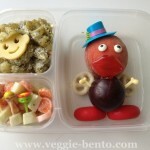 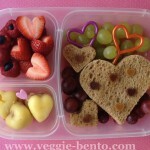 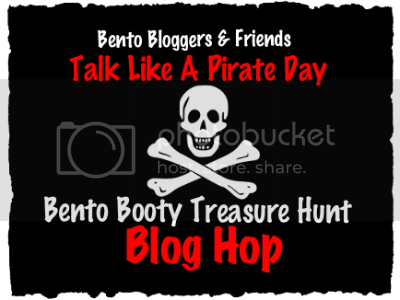 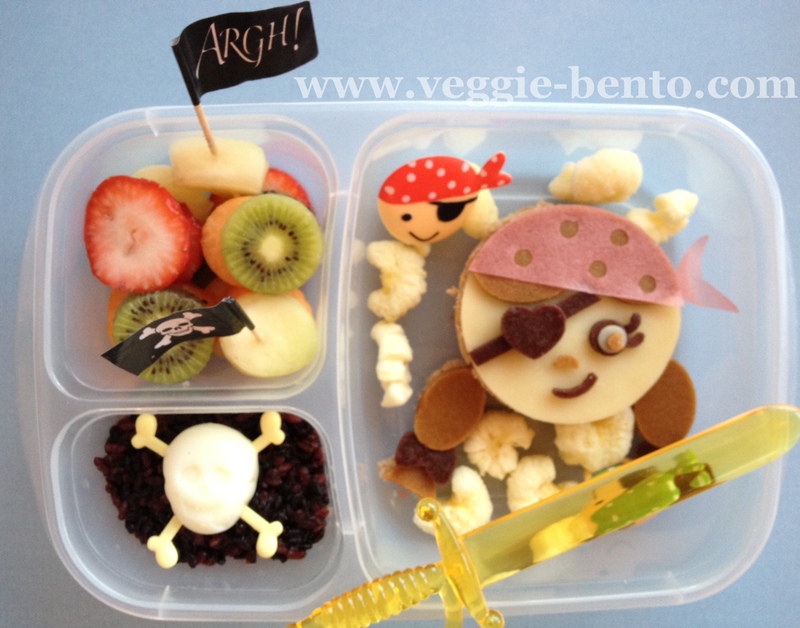 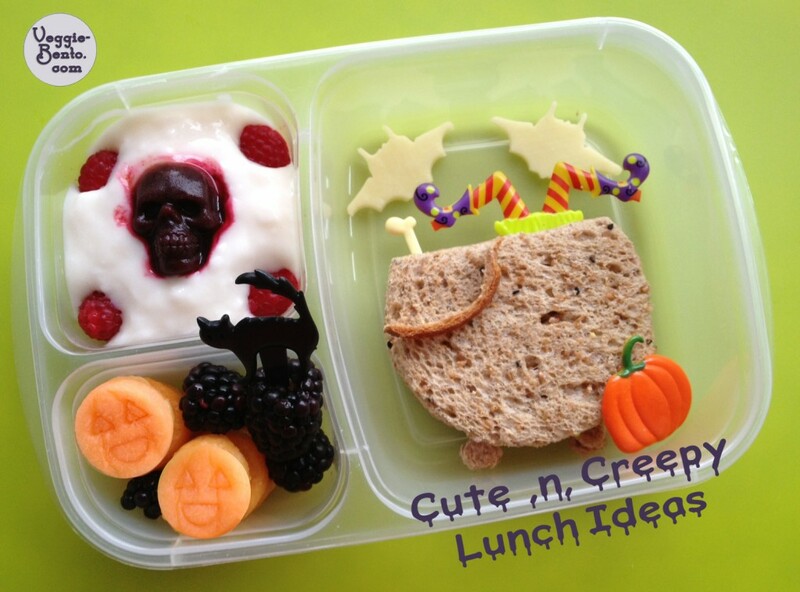 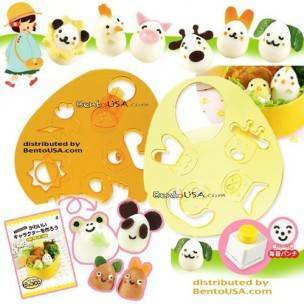 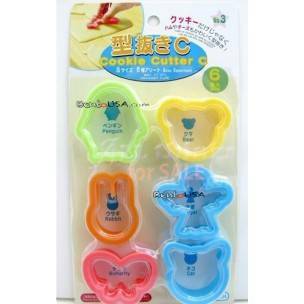 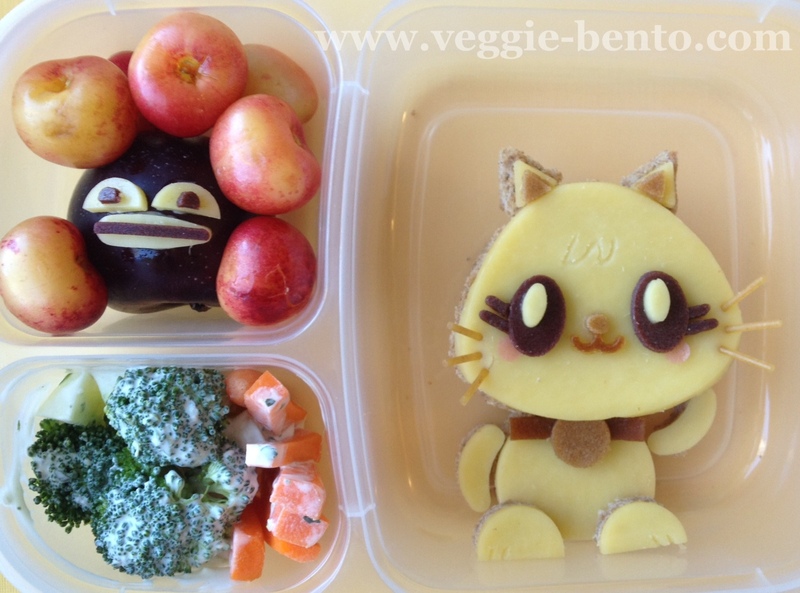 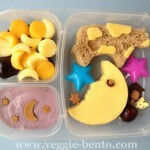 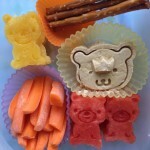 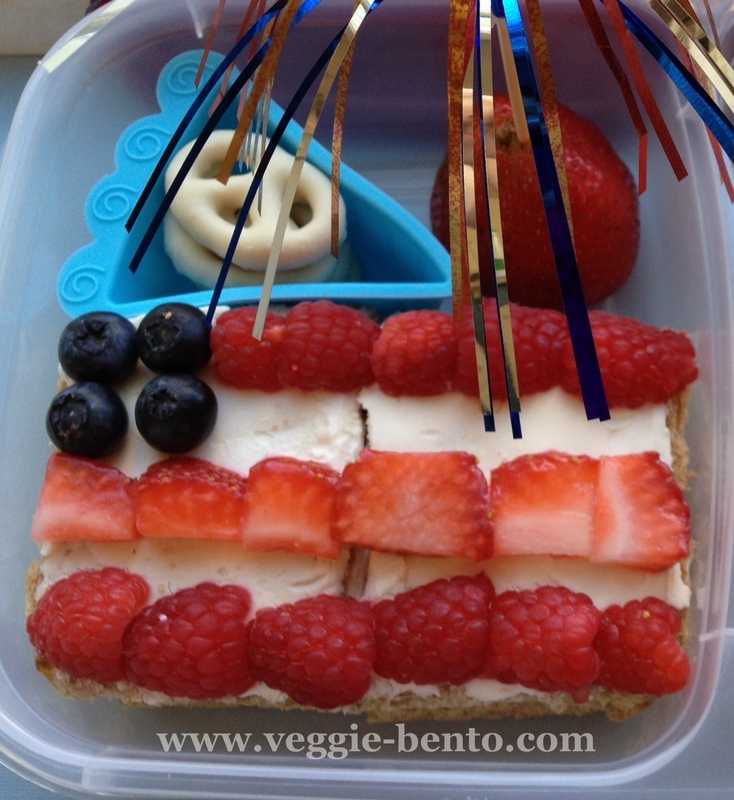 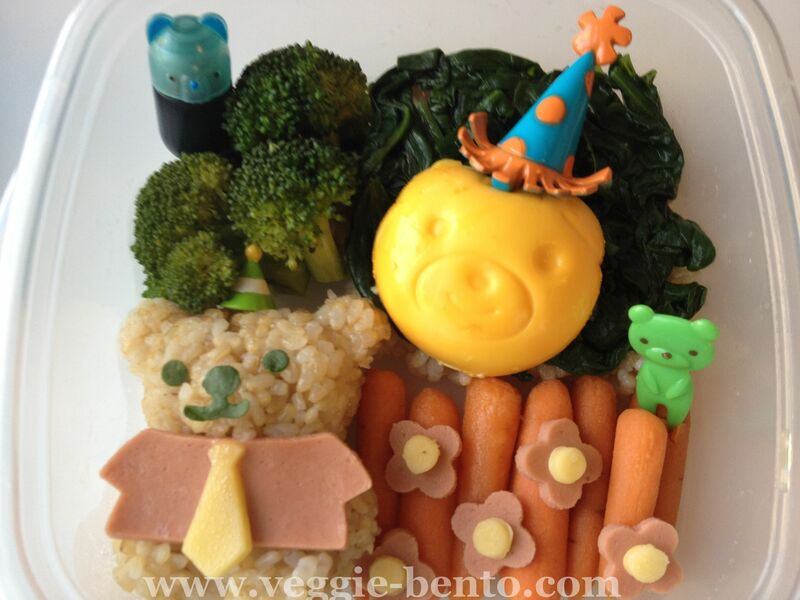 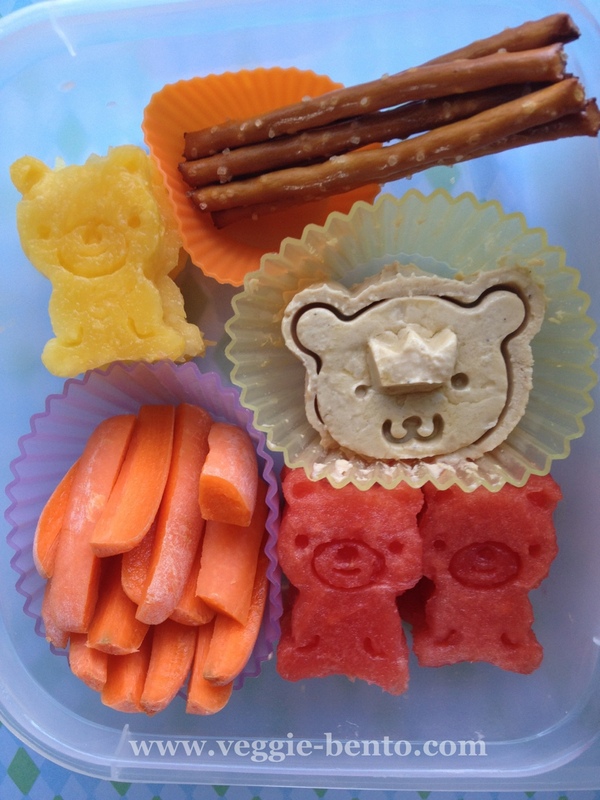 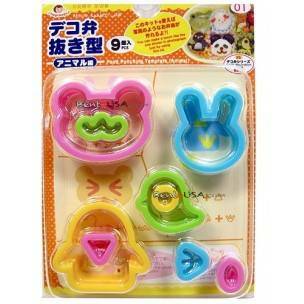 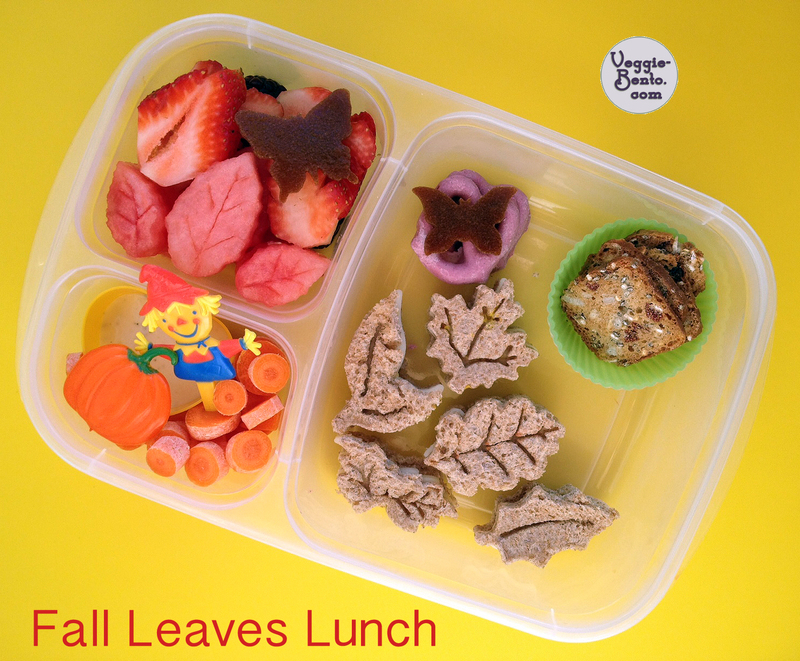 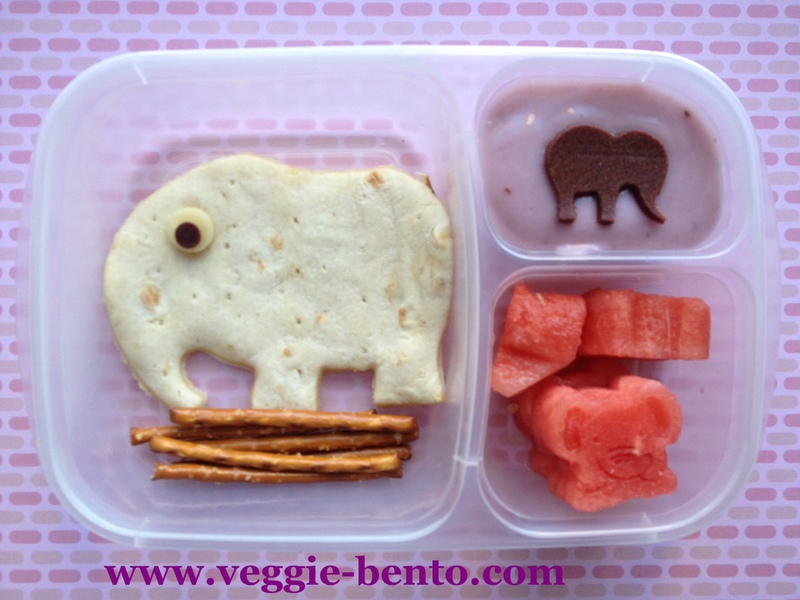 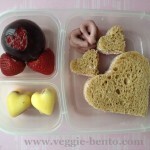 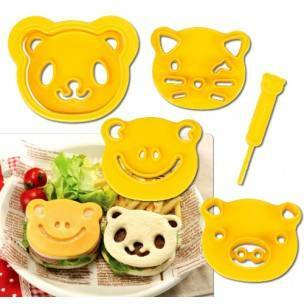 To celebrate Talk Like A Pirate Day a bunch of my bento buddies and I are having a big blog hop and GIVEAWAY! 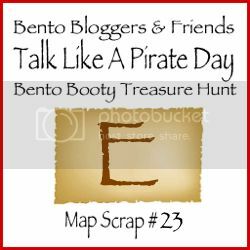 After you finish ogling m’ Pirate Lassy, continue on to find a scrap of map to the Pirate Booty and head off to claim yer treasure! 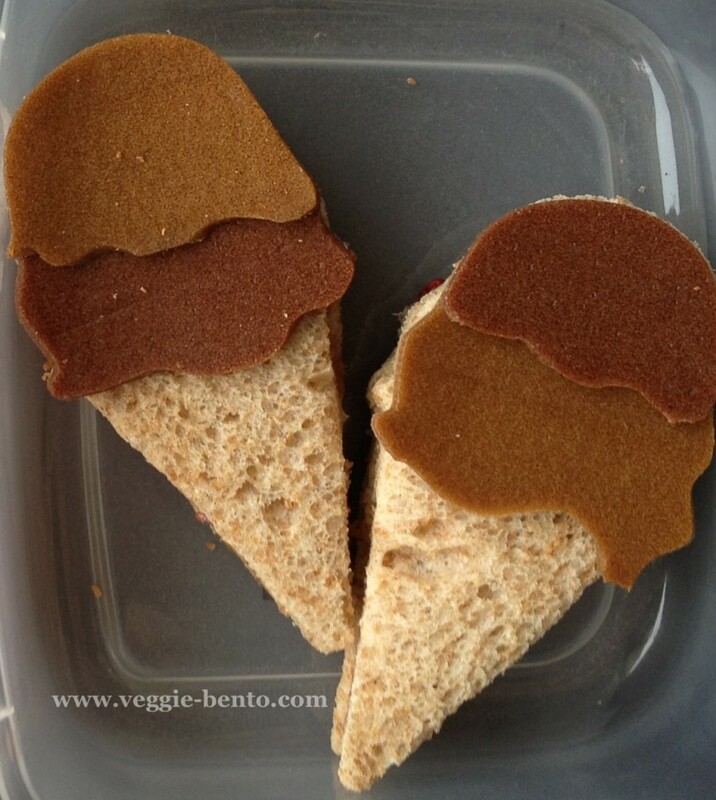 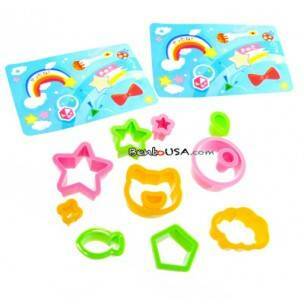 Our blond Pirate Girl is a Wowbutter and jelly sandwich decorated with cheese, soy paper and fruit leather. 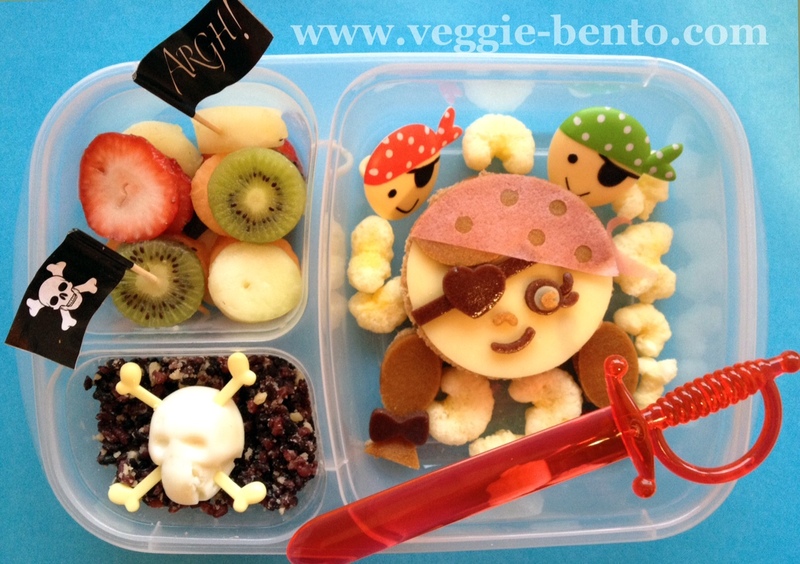 She has a nice big sword for protectin’ her treasures – a pile of Pirate Booty, black rice with an egg skull and crossbones, and fruit coins. 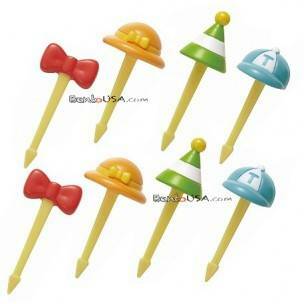 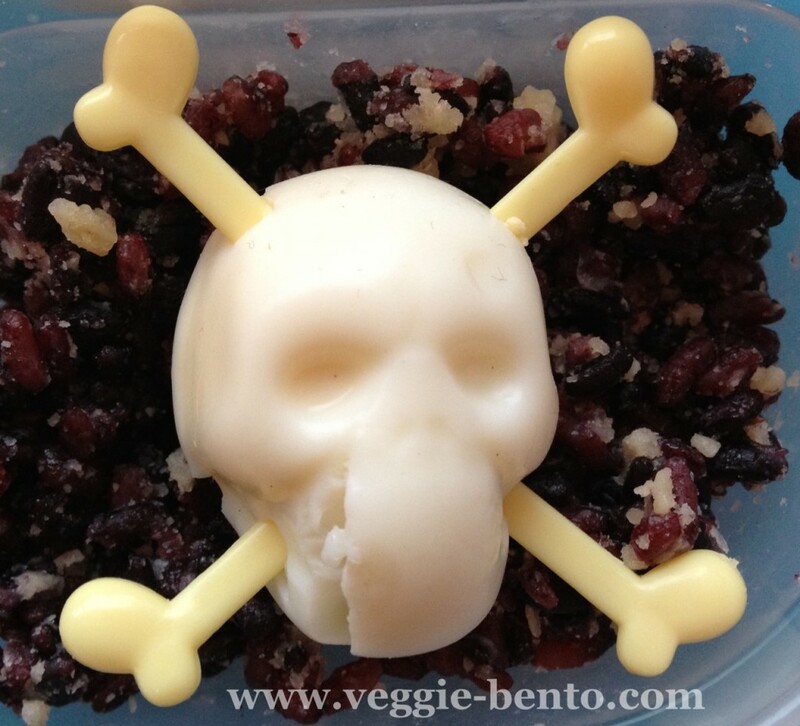 The skull and crossbones are made from a quail egg pressed into a skull ice mold, then adorned with picks. 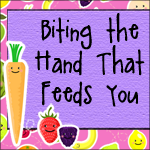 Needin’ some help organizing yer thoughts? 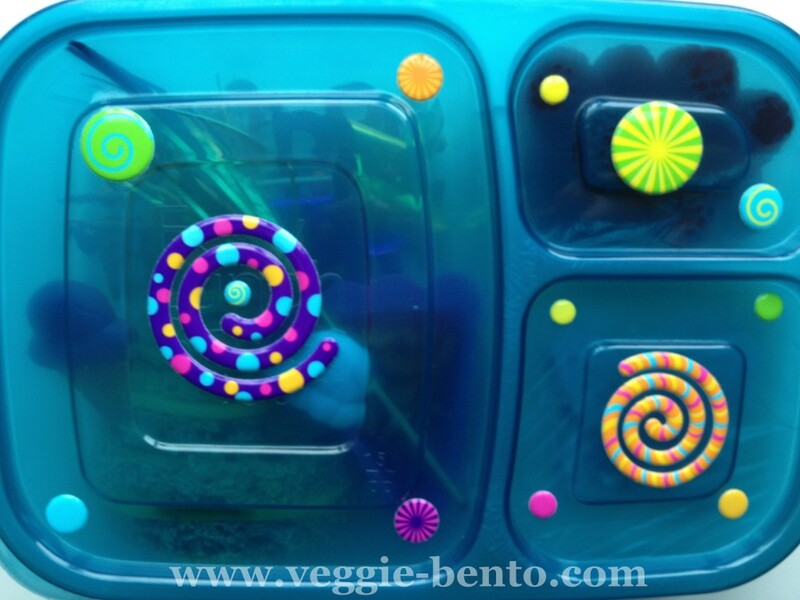 Print this here chart to keep yer thinkin’ straight. 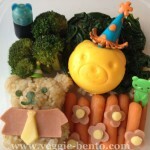 And Now, Away With You! 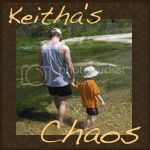 Check out Keitha’s sea-worthy wonders at Keitha’s Chaos and collect the next piece of the map! 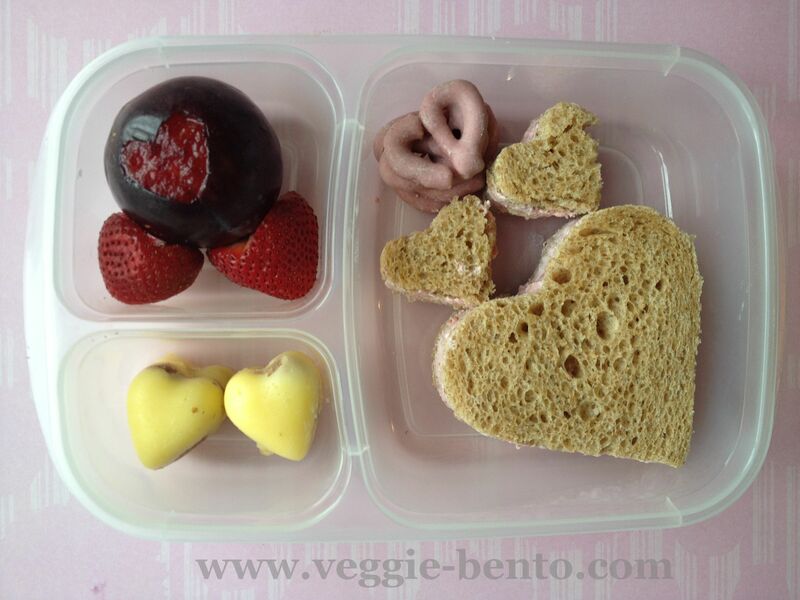 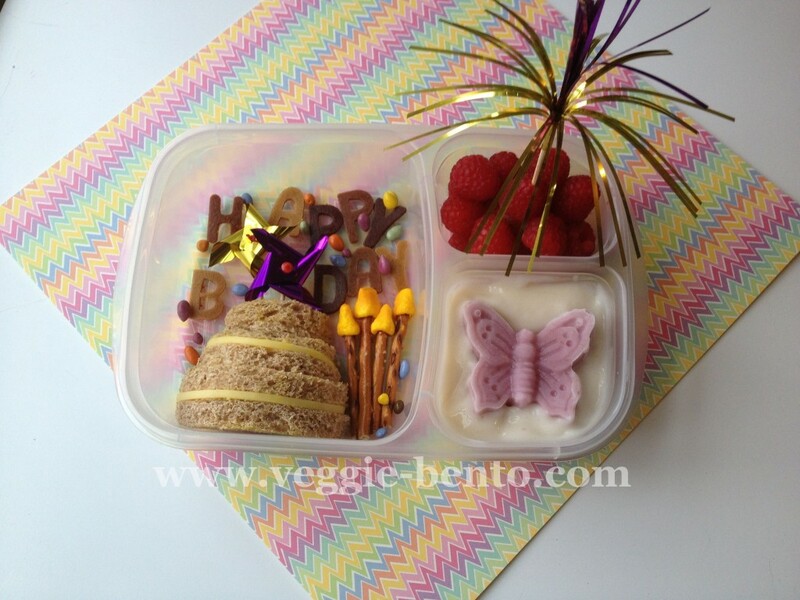 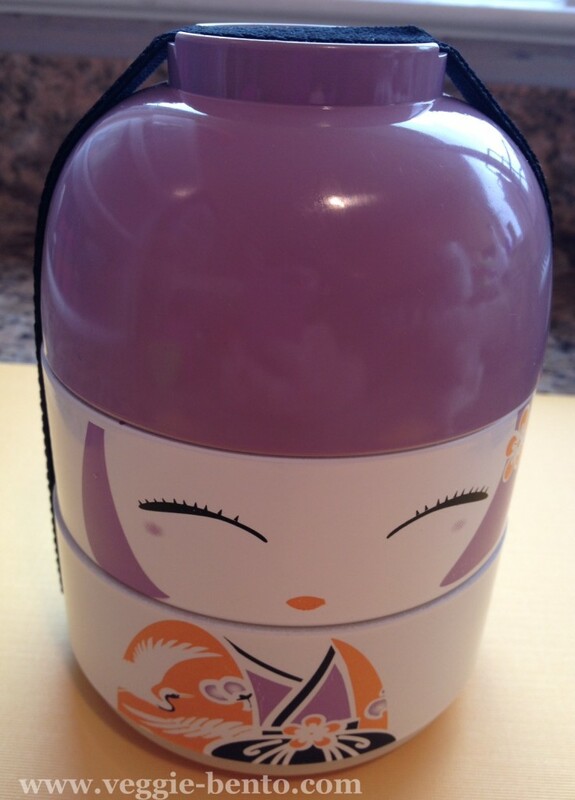 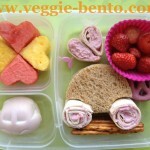 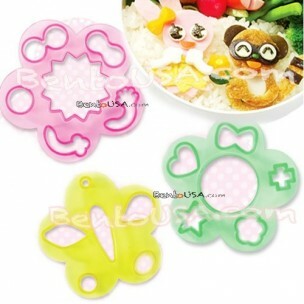 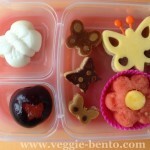 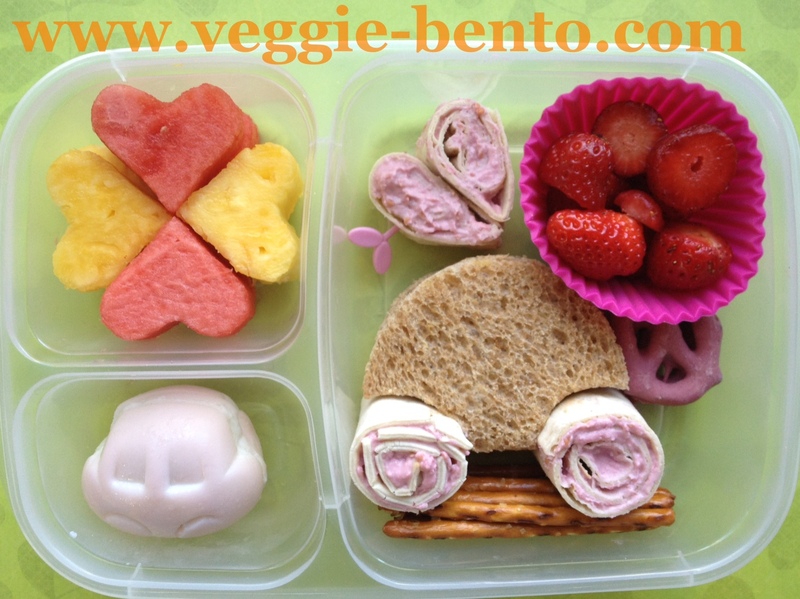 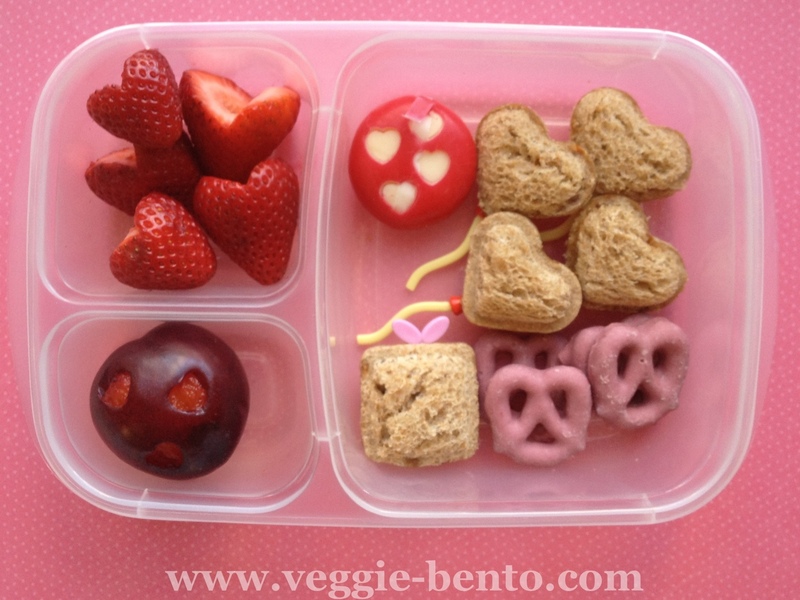 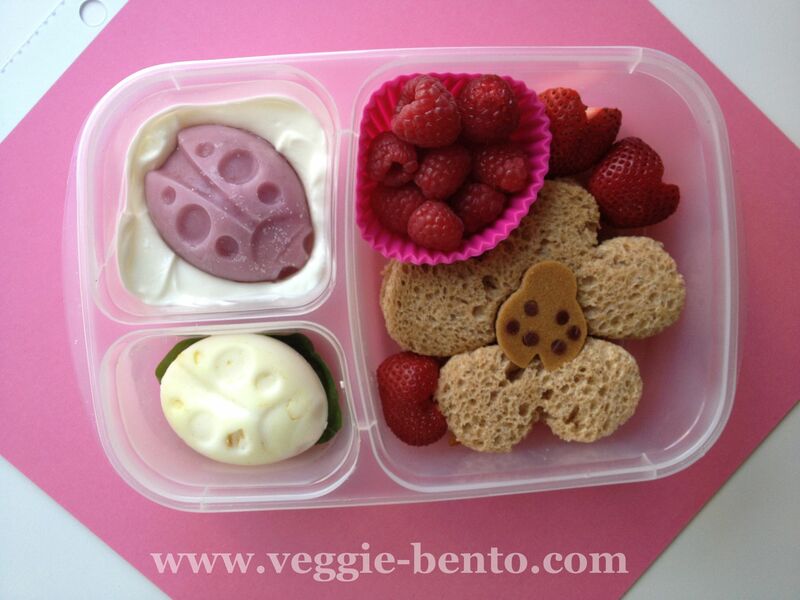 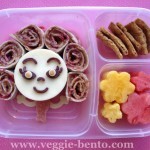 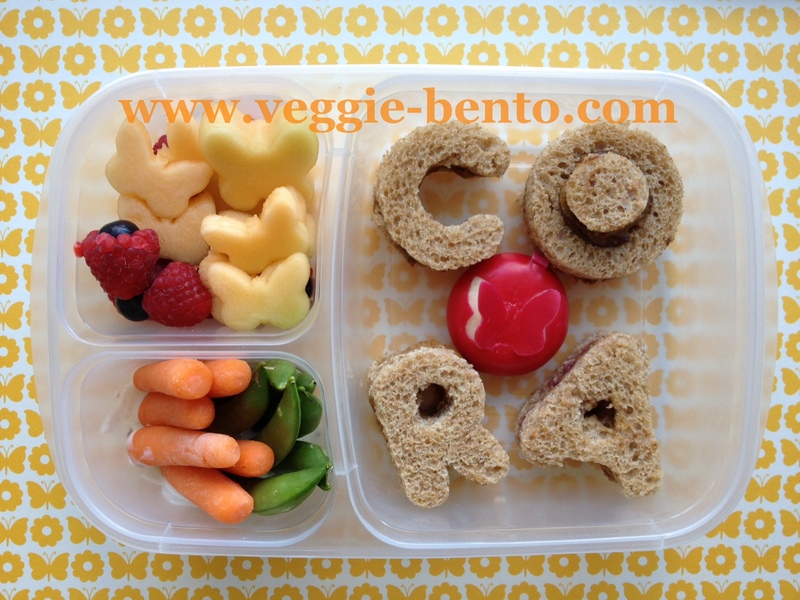 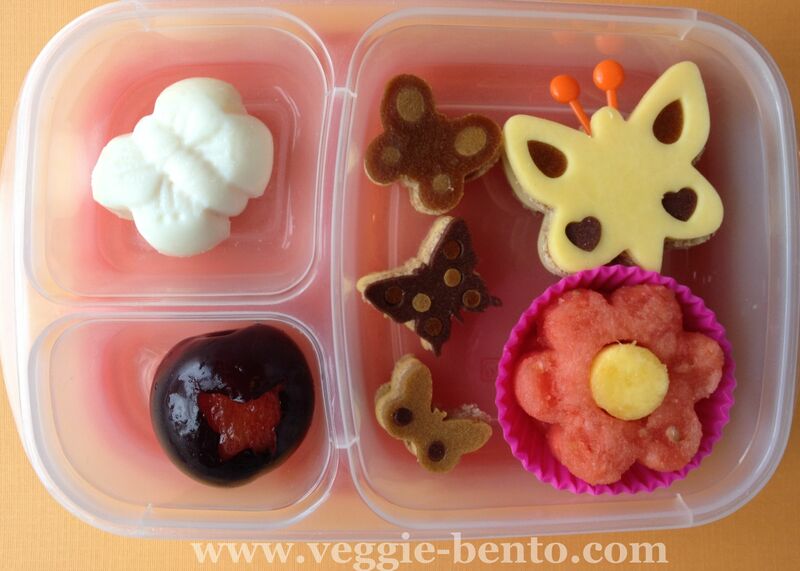 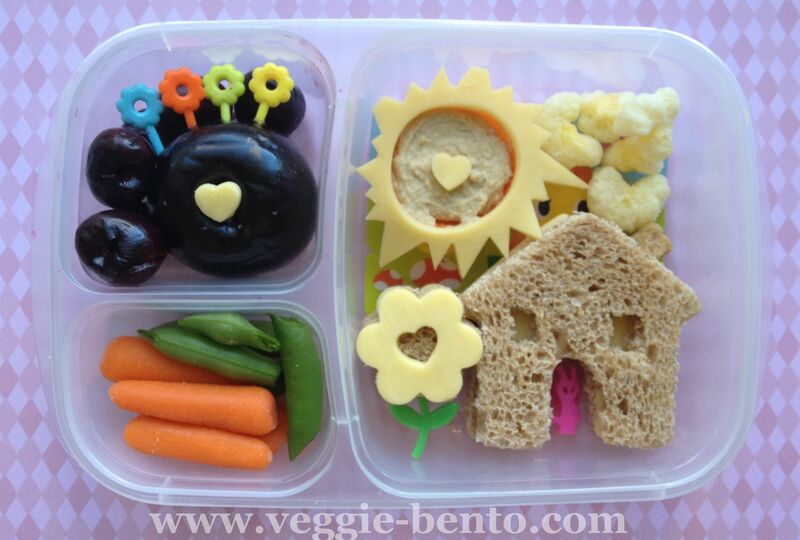 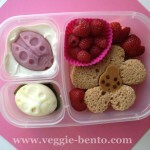 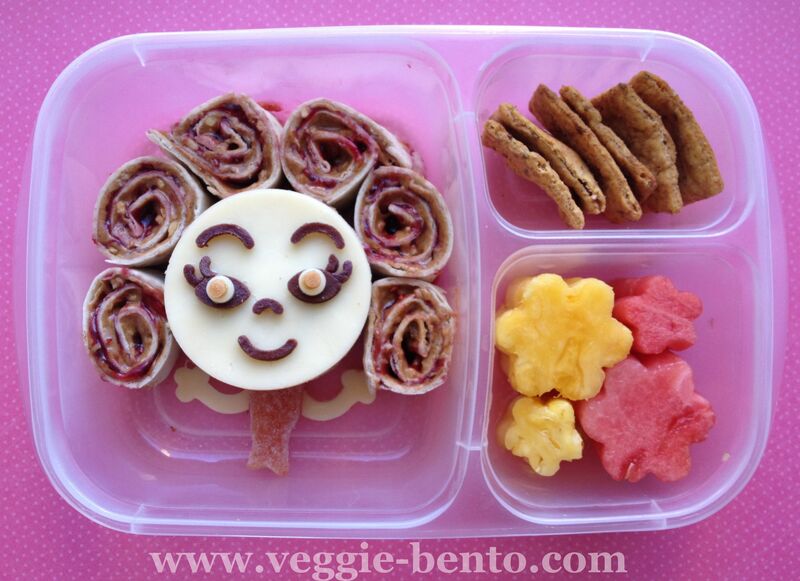 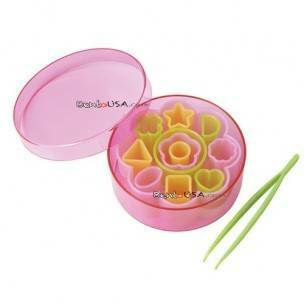 Well, I call it a girl that matches the bento box, but C thought ‘Flowerlicious’ sounded much better. 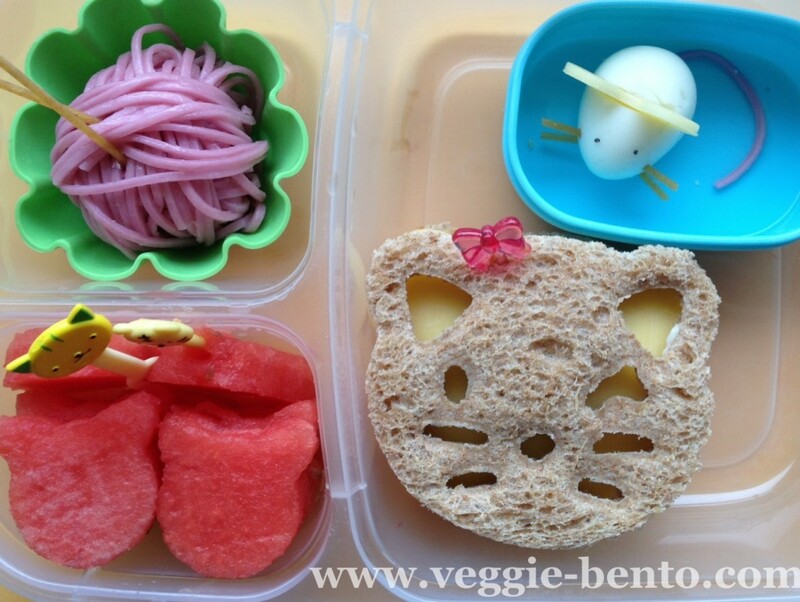 It’s her lunch, so what the heck! 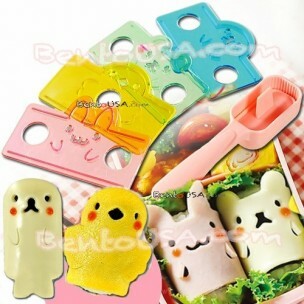 A few months ago, I had the honor of meeting JeeJee of AllThingsForSale and she brought us an adorable Japanese girl stacking bento box. 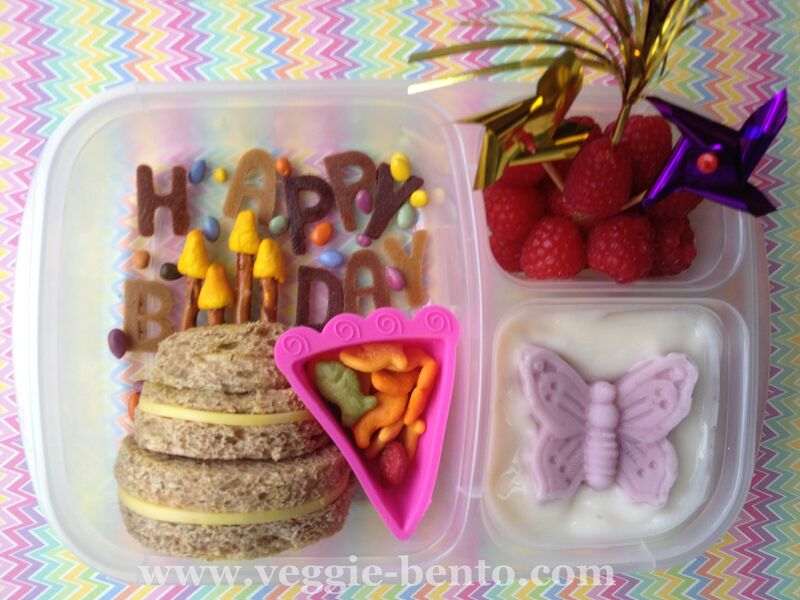 I was so excited to finally use it! 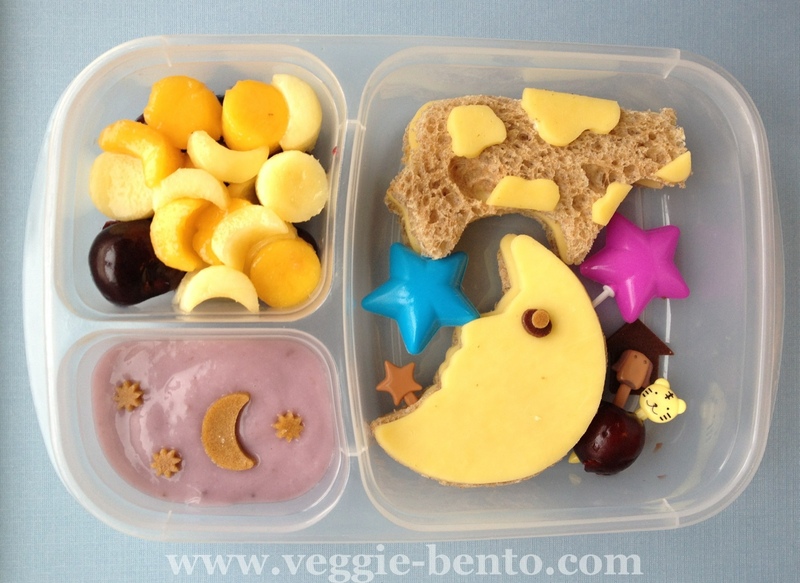 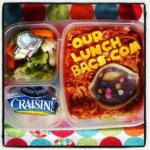 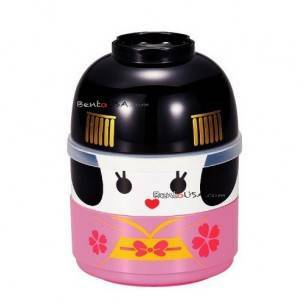 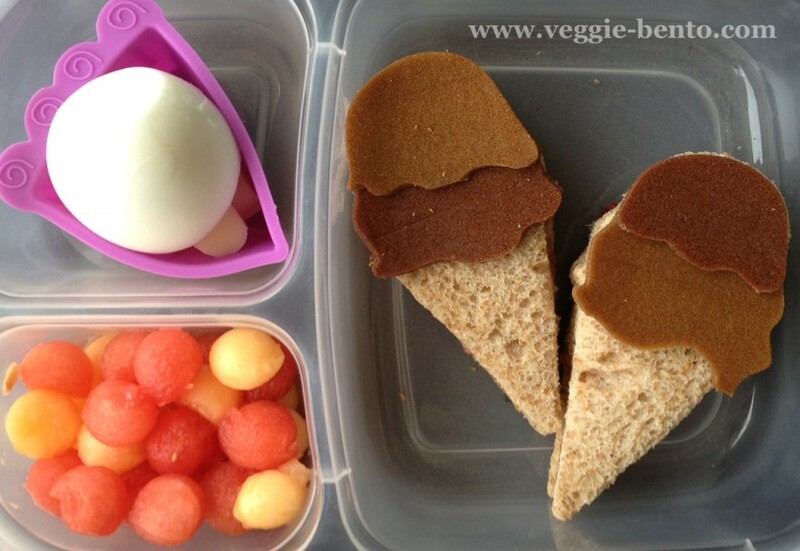 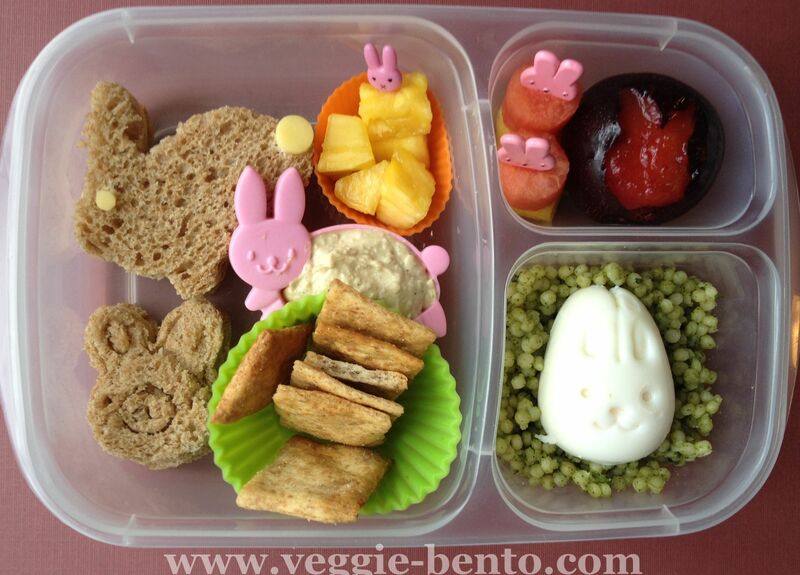 I was intimidated by the box at first, it is so ‘real bento’ and so round. 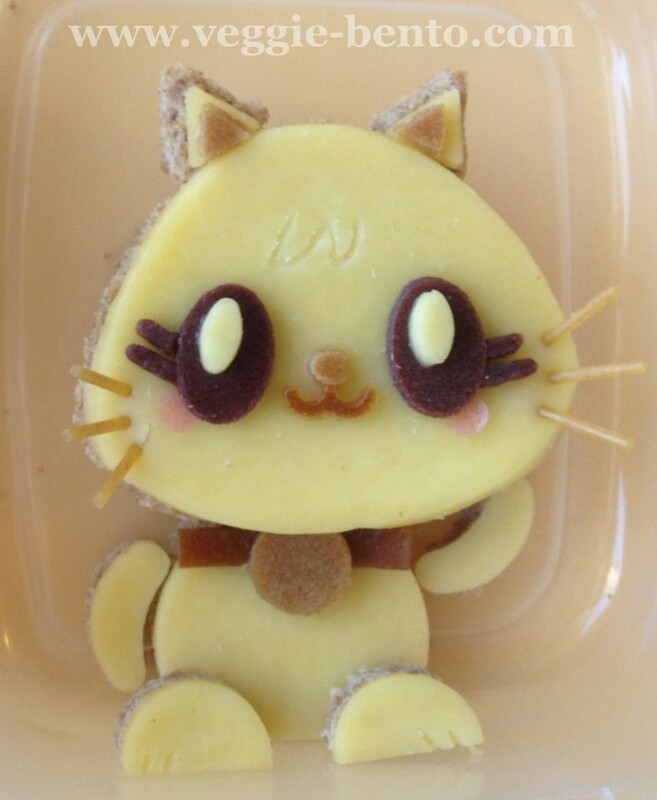 But, once I got started I really liked it. 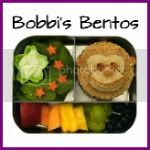 The lidded container that fits in the middle is perfect for keeping juicy fruit from spilling and I was able to add an extra cup in the top. 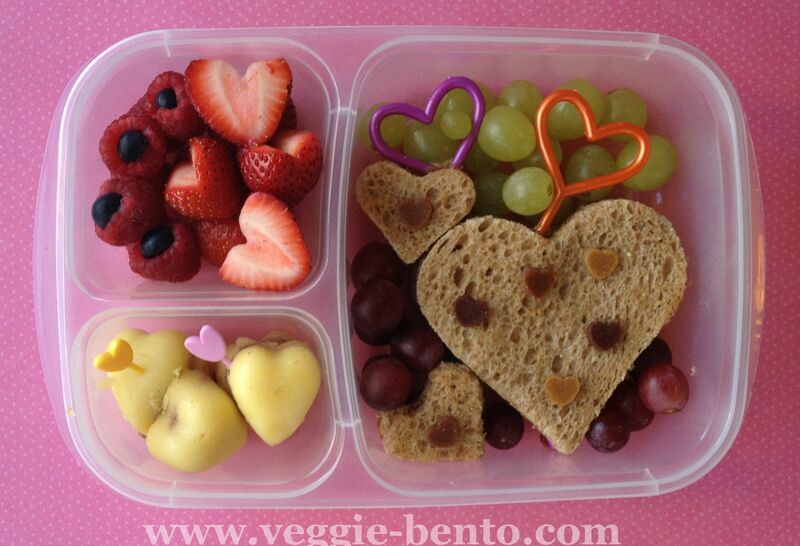 Plenty of food fits in this thing. 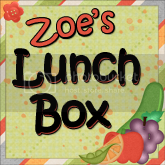 I can’t wait to use it again! 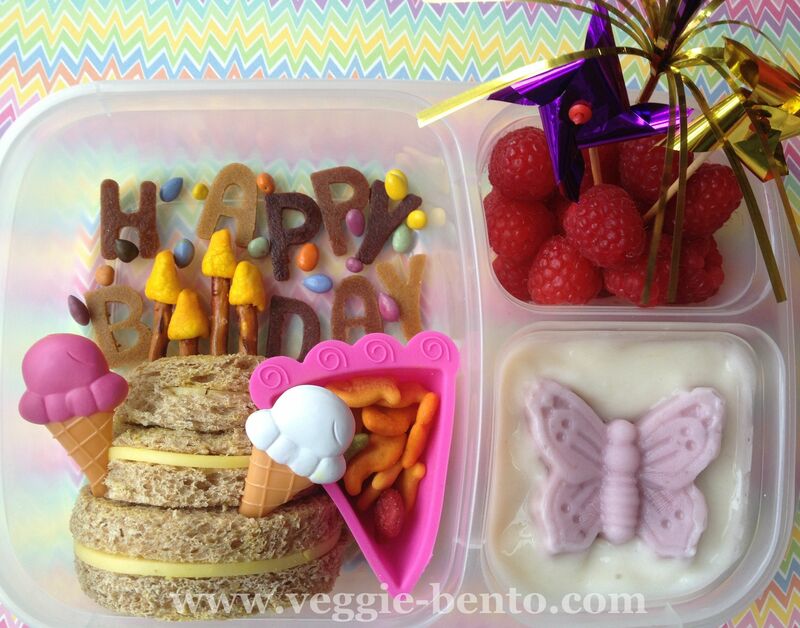 Our lovely lady is a cheese sandwich with cheese and fruit leather features, surrounded by pretzels. 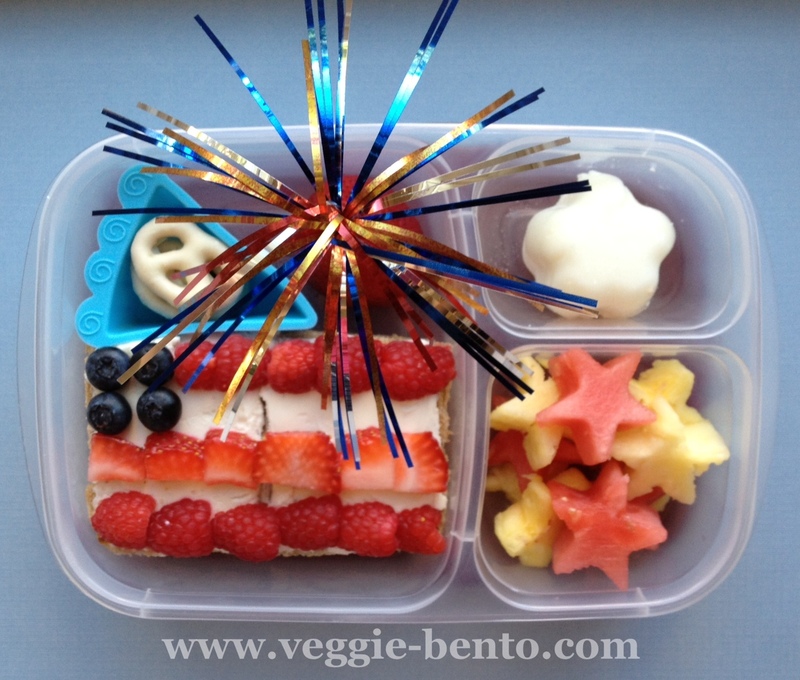 In the middle tier is a fruit salad with raspberries, blueberries and flowers cut from watermelon and galia melon. 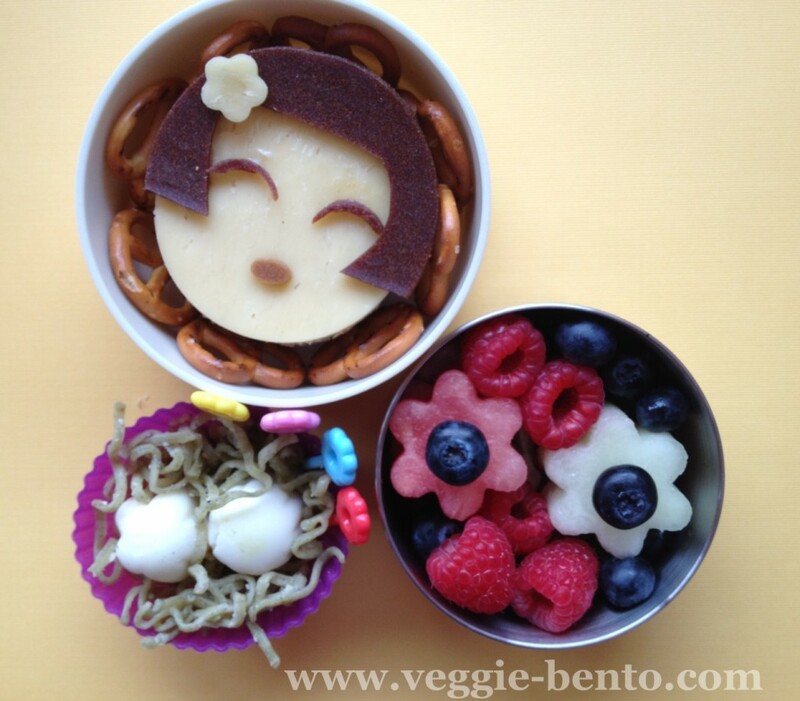 In the top cup is spinach ramen with two quail eggs molded (kinda) into little flowers.